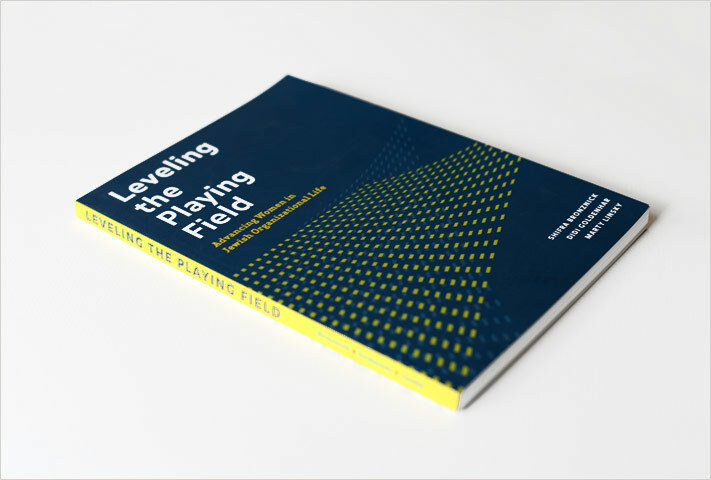 Leveling The Playing Field: Advancing Women in Jewish Organizational Life is a how-to guide for championing gender equity in the workplace. 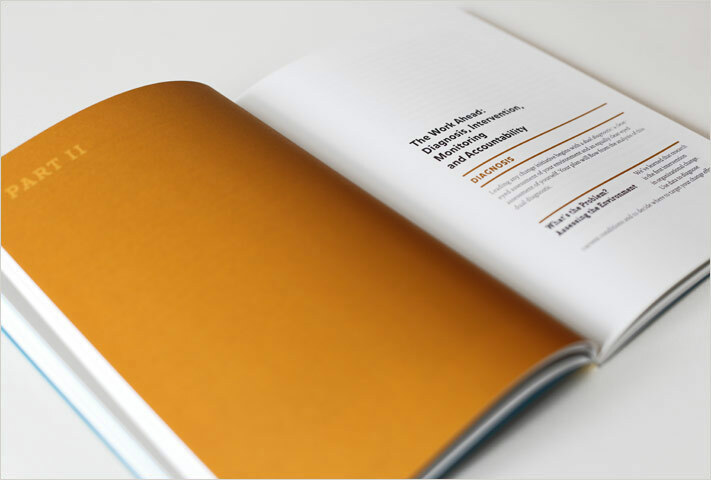 The book contains strategies, tools and exercises, and personal accounts and insights from leaders across the spectrum of Jewish and secular organizational life. 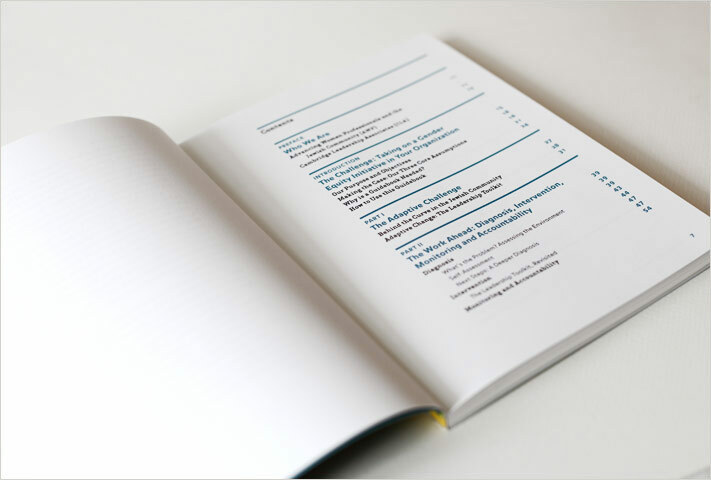 The authors of the 128-page recognized the importance of design in getting the message out: the book not only needed to convey important ideas through words it also needed to be readable and inviting. And it needed to stand out in a genre not known for sophisticated design. Cabengo worked closely with the authors to develop the information hierarchy in the manuscript. 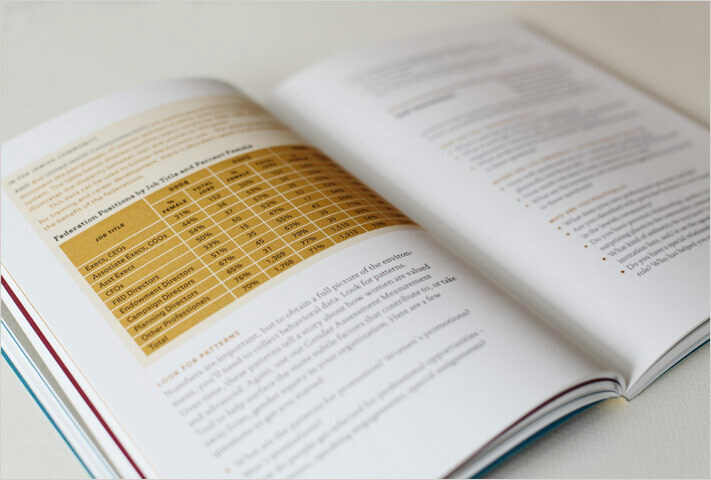 In concert with book designer Beverly Joel, we designed a layout that would support two kinds of readers: the one who would read the book cover-to-cover as well as the one who would use the book as a scan-able reference guide. The result is a handsome, inviting and highly successful guidebook on gender equity. Its distinctive yet legible type helps position the book’s core ideas and strategies as contemporary, relevant and accessible. 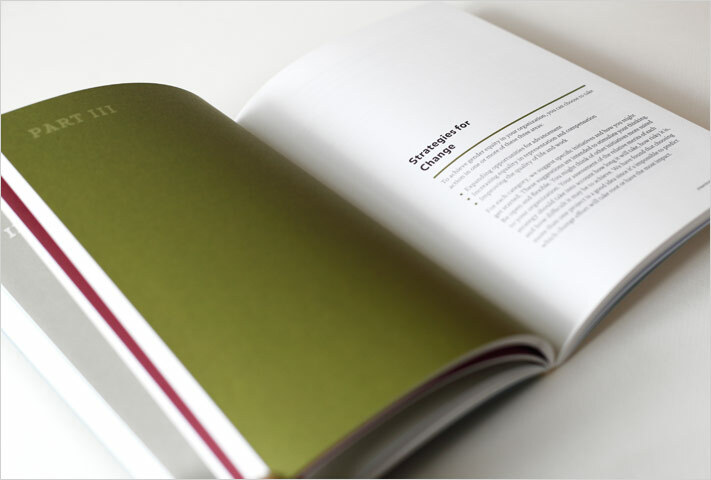 The lively palette allows for color shifts from chapter to chapter, providing a clear visual marker for each section. The cover graphic is an eye-catching yet subtle expression of optimism and possibility.